Superintendent Kyla Johnson-Trammell was appointed to her post in the 2017-2018 school year. She has deep roots in the city of Oakland and the District. 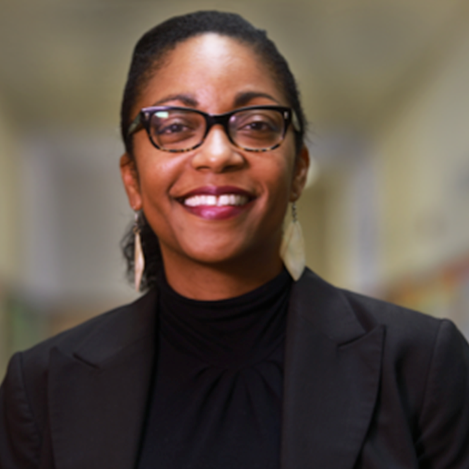 She was born and raised in East Oakland, attended Montclair Elementary and Montera Middle schools, and she has spent her entire professional career working in Oakland Unified School District. Over the last nineteen years, Johnson-Trammell developed her skills as both an educator and administrator and served students in several capacities including: elementary school teacher; middle school assistant principal; elementary school principal; Director of Talent Development; Associate Superintendent for Leadership, Curriculum, and Instruction; Network Superintendent and, most recently, as Interim Deputy Superintendent. She is honored to have the opportunity to lead OUSD educators in service of young people in her hometown. Johnson-Trammell received her undergraduate education at the University of Pennsylvania and was awarded her Doctorate in Educational Leadership at the University of California, Berkeley. She knows there is much work to do before every student across the District reaches their full potential. As an Oakland native, she has seen firsthand the strength of this community and the dedication of its educators. She says, "The time is now to turn good intentions into strong results. Together, we can transform OUSD from a school district showing areas of improvement and pockets of success to one that is known for consistent excellence and equity, transparent and honest communication, and quality schools in every neighborhood."